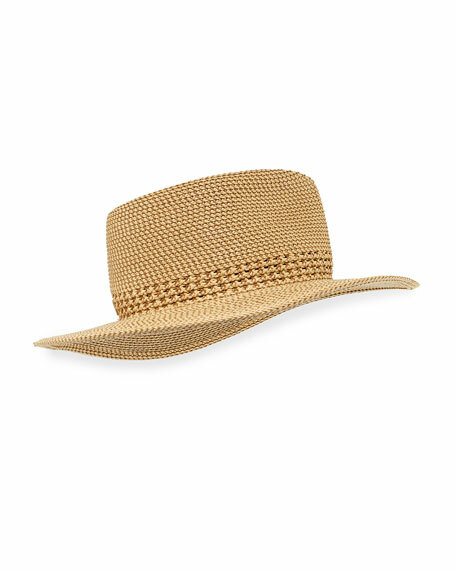 Helen Kaminski "Delphina" sun hat in raffia. Adjustable interior for comfortable fit. Full, round crown with logo detail. Doubled, tonal hat band at break. 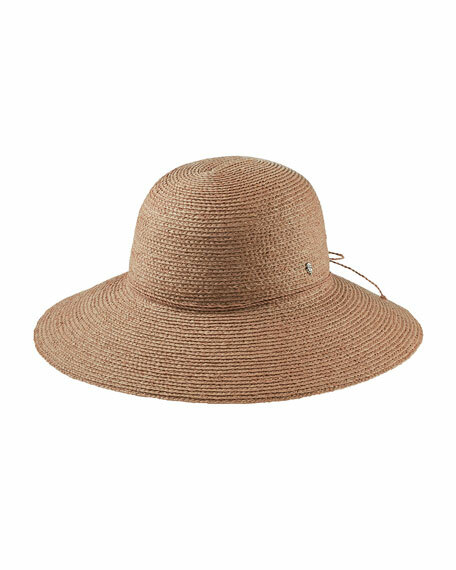 Angled, downturn brim, 4"W. Handcrafted, packable design. UPF 50+ protection. Imported. 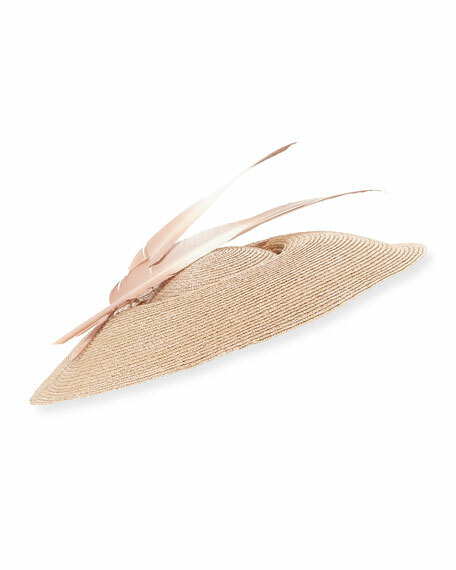 Jane Taylor natural bianca straw disc hat with goose feathers. 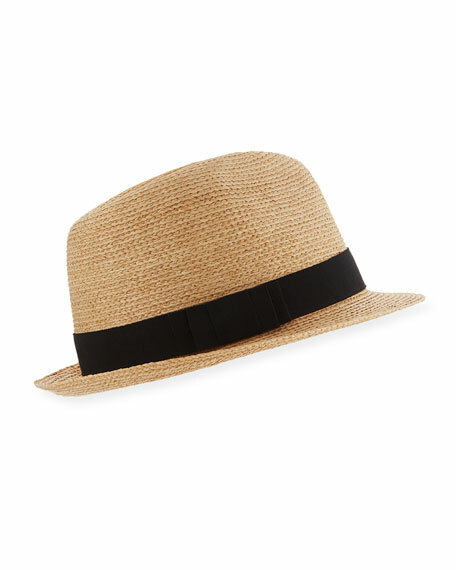 Wide downturn brim. Cotton covered metal wire. Metal comb. Woven label. Cotton/elastic/velvet. Made in United Kingdom.